Phone conversations in the office were never this convenient! 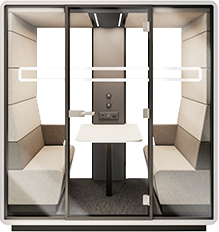 The Hush Phone Booth radically improves the convenience of work for the entire office. It protects the privacy of conversations, markedly reduces noise and, as a result, improves the general mood, since everyone can feel more relaxed. 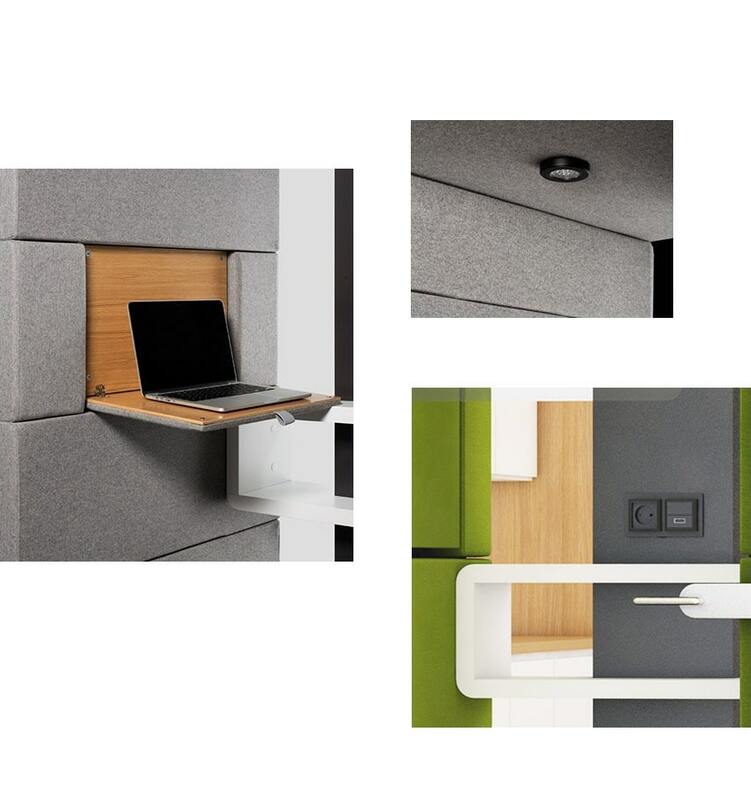 In creating a space for phone calls in the office, we introduce harmony and cut down the level of noise. 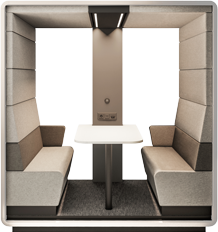 The source of sound – the conversation – is shut within Hush Phone, improving everyone’s working environment. We live in the era of technology, and are not afraid to use it. 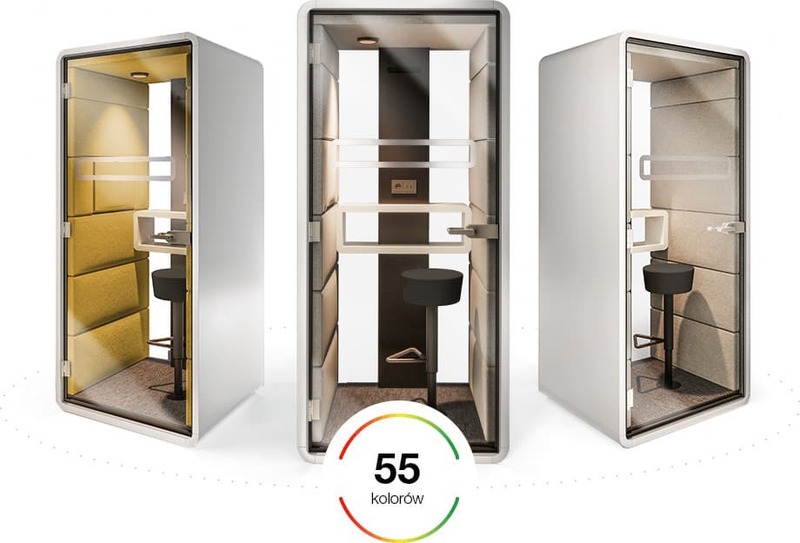 Hush Phone is an independent, electrically-powered space. Inside you will find lighting, an electric socket, and a USB port, so your phone does not lose its charge at the worst moment possible. Apart from that, we fitted the interior with an efficient air-conditioning system, to supply fresh air. Hush Phone is something that should be close to people, and so we always try to position it in spaces accessible to everyone. We also consider the fact that no one can really predict what their offices are going to look like in a year or two. 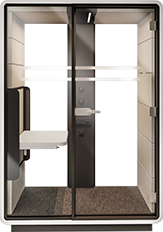 We designed Hush Phone such that it can be moved around the office without the need to disassemble it. 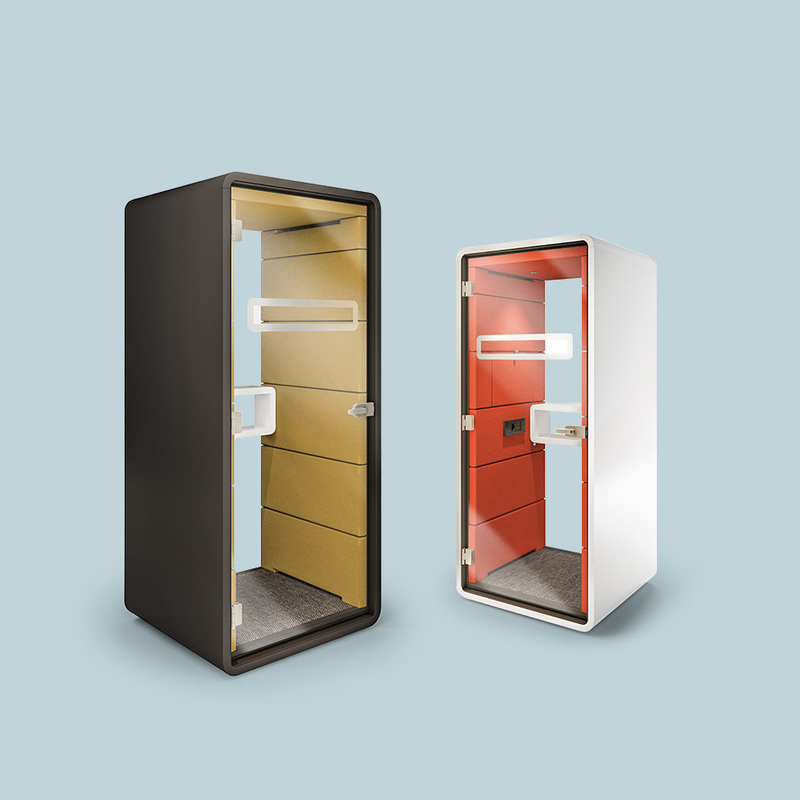 Colours are emotions, character and expression: this is why Hush Phone is available in 40 different interior colours! The cover is available in universal black and white, rendering it fit for any office. We know there are no shortcuts to quality, and so all of the materials used in Hush Phone are characterised by durability and solidity. The upholstered elements are made of 100% Italian wool, the laptop table is covered with natural oak, and the glass is doubly safe (reinforced and bonded)!